Good afternoon!!!! It is finally Friday and I am so ready for the weekend! Today I have a fun, bright mani to share with you guys. Now if you have been a long time reader, you know my love for yellows even though they clash with my skin tone. I am always looking for a way to wear yellow and today’s mani is one of those moments when it worked out perfectly! 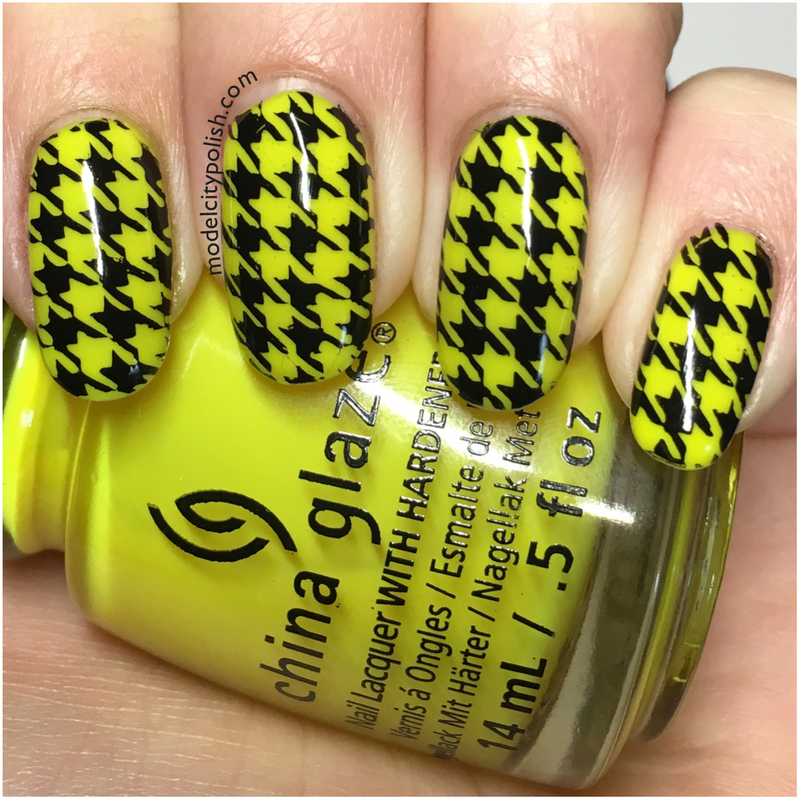 For my Houndstooth print mani I started with four coats of Daisy Know My Name? by China Glaze. 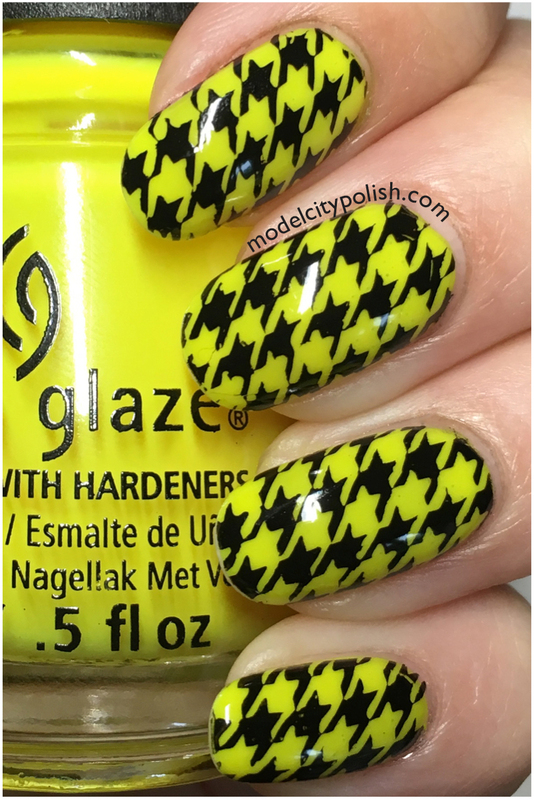 This is a gorgeous highlighter yellow that normally turns my skin a funky color but with the black stamping, I was able to offset that nasty color clash. I used Black stamping polish from Moon Nails Supply and the DRK-A stamping plate. Everything was sealed with two coats of SuperChic Lacquer Liquid Macro Top Coat. 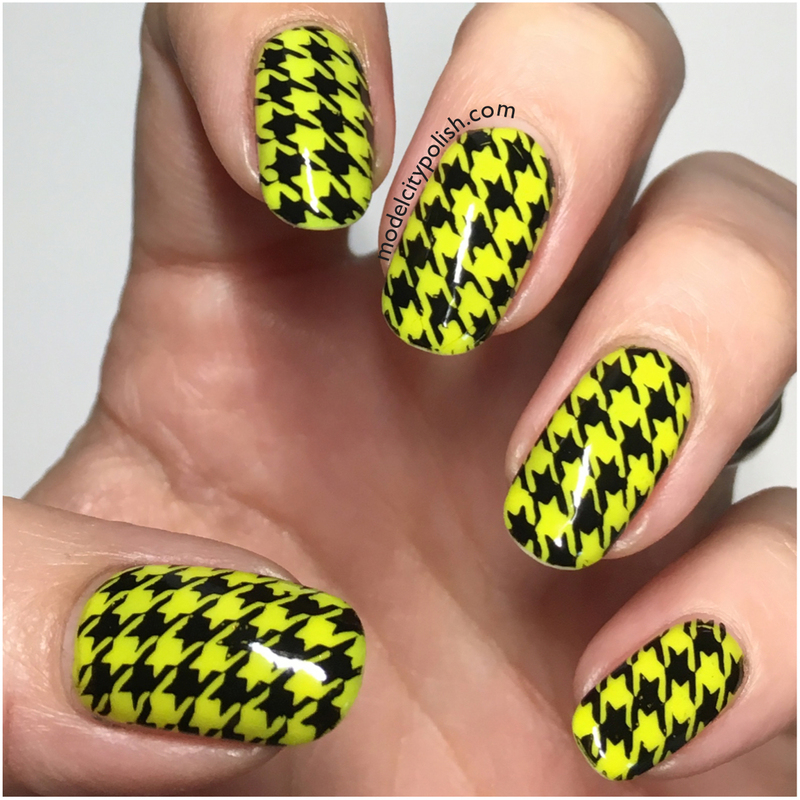 What do you guys think of my Houndstooth print mani? I love it!!!! While I could have went with the traditional black and white combo, the yellow added a fun pop of color that I normally can’t wear on its own. Thank you so much for stopping by today and I will see you all again soon. Love this! That yellow is gorgeous, too! It really is!!! I have been looking for a good highlighter yellow and this is perfect! That is so attention calling. I bet people were taking second and third looks. Love this! 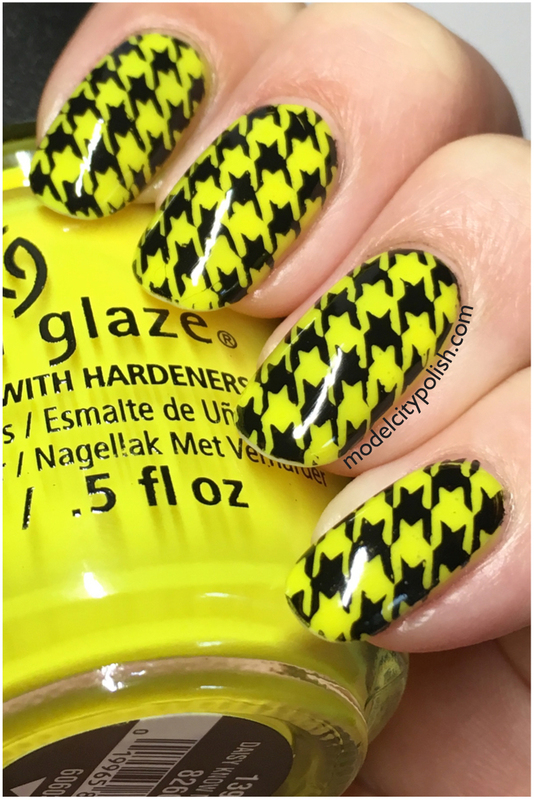 Th stamping is perfection, and black and yellow go very well together! this is so squishy and wonderful. I am in awe of your stamping skills. This reminds me of sweater weather! So cute!